Who is Mocksville Barbershop? What is Mocksville Barbershop? Mocksville Barbershop is the best of the classic barbershop: The customer relationship, the atmosphere, the environment, and the hot lather of a straight razor neck clean up. Our goal is to give you a great experience. 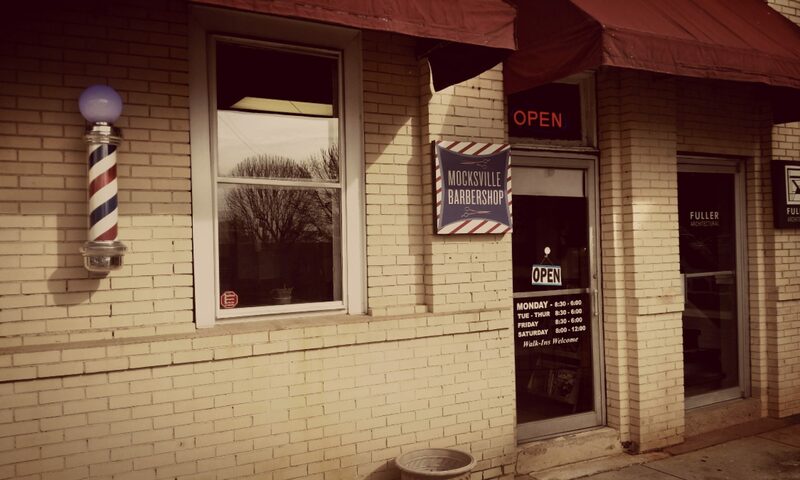 Mocksville Barbershop is its people: Skilled barbers who care about you and your look. We know how to cut your hair and can give you the closest, most comfortable shave. We’re about quality, consistency, and customer service. Mocksville Barbershop started as a dream to bring back what was good about the traditional barbershop, and, in the process, created something entirely unique. No matter if your look is the perfect shag (just above the brows, of course) or precision business cut, Mocksville Barbershop is your shop. No matter your look, a well-groomed man gets noticed, and at Mocksville Barbershop, we specialize in getting you noticed.